Below are extracts from the CCP hf. Consolidated Financial Statements for 2014. I have listed each page and either copied an image of the page, or copied the text (if it is a text page) or not copied anything if i believe it is of little interest. The CCP 2014 Financial Statements were filed at the Directorate of Internal Revenue on 19 May 2015. See my first post reviewing the CCP 2014 Financial Statements for further details. Page 1 is the front cover and contents page. The Consolidated Financial Statements for the year 2014 consist of the Financial Statements of CCP hf. and its subsidiaries, together referred to as the Company. The Consolidated Financial Statements are prepared in accordance with International Financial Reporting Standards (IFRS), as adopted by the European Union, and denominated in USD. The Company's revenues in 2014 were USD 68.6 million. The net loss for the year amounted to USD 65.7 million. Assets at year-end were USD 33.3 million with negative shareholders' equity of USD 15.3 million. The Company employed 339 people at year-end in its offices in Reykjavík, Newcastle, Shanghai and Atlanta, compared to 508 at the beginning of the year. Salaries and related expenses amounted to USD 36.1 million of which USD 7.9 were capitalized as development cost. In April the Company announced that it had cancelled further development of its World of Darkness massively multiplayer online (MMO) game project. As a result of this change the Company went through restructuring of its global operations to realign it with its current development efforts. During EVE Online’s eleventh year the Company announced an upgraded development model for EVE Online. The upgraded development model marks a shift from releasing two expansions per year to around ten releases annually with the aim of delivering more content, more frequently, to its customers. September marked the release of a full French language support for EVE Online. With an award-winning playercommunity that spans the globe supporting multiple languages has become an important part of bringing players together. 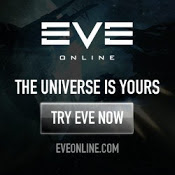 The French localization adds to EVE Online’s previous English, Russian, German, Japanese and Chinese language support. During the year the Company continued its development of EVE: Valkyrie, a multiplayer spaceship dogfighting shooter set in the EVE Universe, set to be released on next generation VR hardware. The Company also has a number of smaller concept projects under development aimed at making the Company a key content provider for next generation VR hardware. The Board of Directors recommends that dividends shall not be paid to shareholders in 2015. With regards to disposal of profit and changes in the equity of the Company, the Board refers to the Notes attached to the Consolidated Financial Statements. As of December 31, 2014 there were 434 shareholders in the Company compared to 431 at December 31, 2013. The ten biggest shareholders and their ownership percentage are: NP ehf - 29.74%, Teno Investment S.Á.R.L - 23.33%, Sigurður Reynir Harðarson - 8.86%, Hilmar Veigar Pétursson - 5.22%, Matthías Guðmundsson - 3.08%, Alamina Ltd. - 2.55%, CCP Holding S.Á.R.L. - 2.24%, Guðmundur Kristinsson - 2.09%, Friðrik Örn Haraldsson - 2.01%, A.C.S. safnreikningur I - 1.71%. The Board of Directors complies with written operating procedures agreed by the Board. The procedures address issues such as allocation of responsibilities and powers of decision within the Board, conflicts of interest, confidentiality, and similar governance issues. The Board has appointed a Compensation Committee and Audit Committee within its ranks. It it the opinion of the Board of Directors and the CEO of the Company that the accounting policies applied herein are appropriate and that these Consolidated Financial Statements present all information necessary to give a true and fair view of the Company's assets and liabilities, financial position and operating performance, as well as describing the principal risk and uncertainty factors faced by the Company. The Board of Directors consists of two women and three men and therefore complies with Icelandic law on gender ratio which entered into effect on the 1st of September 2013. Page 8 is the Consolidated Statement of Changes in Equity, nothing of note there. Page 9 - 16 are the Accounting Policies. I suspect they are the same as before.